By Professor John Keane. First published in The Sydney Morning Herald. Democracy's vulnerability to authoritarian power should not be underestimated, writes Professor John Keane. When making sense of the weird things happening in the northern hemisphere one trend should not escape our notice: a deepening crisis caused by bankers' greed is beginning to rip the guts out of democracy. Here's what the textbooks say: in continental Europe, Britain and the US, democracy is a special way of life in which citizens govern themselves through their chosen representatives. Bossing and bullying are not cool. Democracy is free and fair elections, but much more: those who call the shots in government and business are kept on their toes, honest and humble, making sure their greed for power does not ruin the lives of citizens. That's the theory. Now look at the miserable reality. Four years into the deepest economic crisis since the Great Depression, governments of vital parts of the capitalist world are running on empty. Pessimism has the upper hand, understandably. Since the infamous Dutch tulip craze of the early 17th century, there have been 10 major panics caused by burst financial bubbles. Seven have happened since the early 1970s. Each triggered economic and political disruption, but the 2007 blowout is the worst. And it's by no means over. There's a palpable sense tbat monetary and fiscal instruments are either too blunt or politically risky, or downright useless. Fears are steadily rising, above all because the lender of last resort, the United States, has edged towards bankruptcy. Worst of all, the poisons of avarice are paralysing the body politic of democracy. Allergies, fevers and convulsions are spreading. The collapse of political leadership is striking. Grave moments like these cry out for smart democratic leaders women and men who display calm determination and courage, representatives whose unbiddable resolve taps into their conviction that true leaders lead because they get people to look up to them, rather than leading them by the nose. David Cameron, Jose-Luis Rodriguez Zapatero, Angela Merkel, George Papandreou and Silvio Berlusconi hardly measure up: flat-footed, reactive, trapped in double-talk, these are second-rate political creatures unprepared to deal with those responsible for the crisis. Even Barack Obama has been spineless. Hence the blunt words of Jacques Delors, three times president of the European Commission: "We don't just need firefighters; we need architects too." A British blogger responding to the riots in Britain agreed: "WTF is going on with this government? Are they deliberately trying to rub our noses in it, or do they just have a tin ear? What a frightening bunch of amateurs." The abdication of politicians from politics strengthens the sense that "the market" is in charge, its faceless power unassailable. For many citizens, marketplace dealings have become a foreign territory that speaks its own babbling language of spreads, bonds and yields. This is a very dangerous trend. It succours belief that if nobody is culpable then they're all bastards, that voting has lost its meaning, that the world's going to the dogs. Withdrawal from representative institutions is the result. Longstanding disaffection with parliaments, parties and politicians has reached a tipping point, buttressed by the feeling that the boom-bust age of deregulation has produced hour glass shaped societies. A few very rich who have become even richer (symbolised by bankers) stand well above a middle class, nervous about tumbling into the ranks of the long-term unemployed, whose numbers are burgeoning, especially among young people. It's their own fault, or God's will, say those of the Tea Party persuasion. Others reply: what has become of the welfare state? When nearly half of under-25s are unemployed (as in Spain) or nearly a third of under-18s officially live in poverty (as in Britain), is talk of the Big Society, democracy and universal access to healthcare, education and pensions still meaningful? With injustice now the blighted face of democracy, cynicism and fatalism gain ground. "What's the best way to deal with this crisis? ", runs a popular Japanese joke. The answer: "Let the system collapse." The panacea looks more plausible by the day. Positive democratic things are happening, certainly. Spurred on by a slim pamphlet, Time for Outrage!, which has sold nearly 2 million copies in France alone, the non-violent, new media resistance of indignant citizens in countries as different as Tunisia and Egypt, Spain and Greece is exemplary. But this is by no means the whole picture. The crisis has its dark sides. It's not just that disaffection with centrist and social democratic politics eggs on nasty extra-parliamentary extremists prepared (like Anders Behring Breivik) to use terror to publicise their xenophobia and aesthetic fantasies of violence. Equally worrying is the drift towards the garrison state. Banking and credit sector executives who caused the crisis remain unpunished. No toothy regulatory structures for countering their greed have been built. Politicians still pander to the ratings agencies. And at no time since 2007, when the latest market bubble burst, have key decisions on dealing with the greed crisis been decided democratically, with the consent of a majority of citizens. This week's upheavals in Britain resemble shopping riots led by disaffected young people desperate to grab anything in their path. They are the flipside of the garrison state, as the mayor of London, Boris Johnson, has made clear. Surrounded by hecklers, he minced no words, threatening those "who've been robbing and stealing" with "punishment they'll bitterly regret". We may all regret it, for the strange vulnerability of democrats and democracy to authoritarian power should not be underestimated. Gone, for the moment, are the democratic virtues of publicly accountable government and a decent civil society based on the commitment to empowering the powerless. Little wonder that Slavoj Zizek will soon storm the stage of the Sydney Opera House to play Lenin; or that the Iranians are weighing in with public indictments of the hypocrisy of British democracy; or that China's regime, sensing its prime role in this crisis, chides the democratic lethargy of the Obama administration. And little wonder as well that huge demonstrations and street fighting led by pot-banging young people in Chile are growing. The democratic malaise is seeping into the southern hemisphere. Where will it strike next? Here? 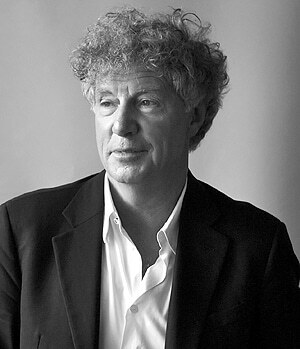 John Keane is Professor of Politics in theDepartment of Government and International Relations and the author of The Life and Death of Democracy.